A Balance Sheet lists a company’s assets, liabilities, and owners” equity at a given point in time. It follows the accounting equation and will help you understand a company’s solvency and liquidity. The Balance Sheet is sometimes called the Statement of Financial Position. 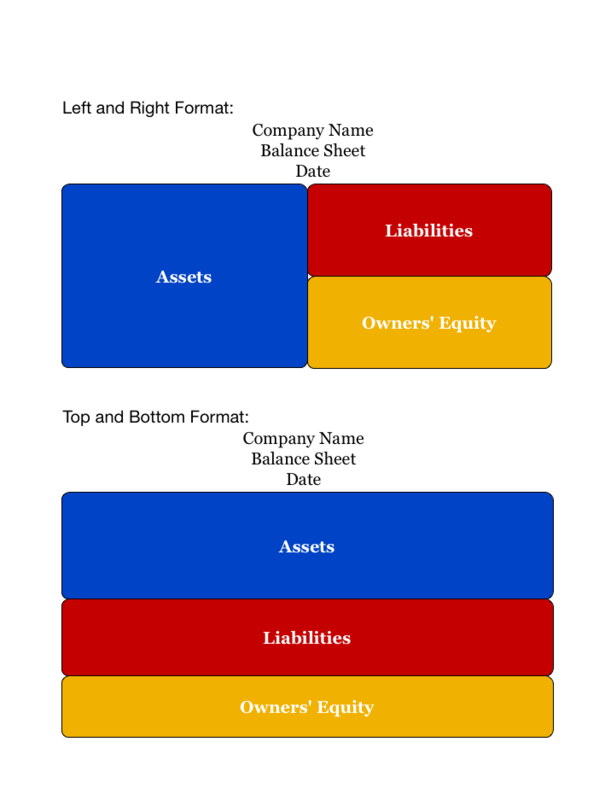 The name “balance sheet” comes from the fact that a balance sheet must balance, just like the accounting equation: Assets must equal liabilities plus owners” equity. Balance Sheets typically follow either a left-and-right format or a top-and-bottom format. The left-and-right format presents assets on the left, and liabilities and owners’ equity on the right. The top-and-bottom format presents assets on top, and liabilities and owners’ equity on bottom. A company prepares and releases its balance sheet annually, on the last day of its fiscal year (usually December 31). Many companies also prepare balance sheets quarterly (every three months) or even monthly. If you run your own business, you should have some idea of what your balance sheet looks like. What assets do you have and how much are they worth? How much cash do you have on hand? How much inventory? What liabilities do you have, and how much do you owe? How much do you owe suppliers? The bank? And how much equity do you have in your business? Here is Walt Disney Company’s Annual Report. You’ll find the balance sheet on Page 62. If you have any questions about the balance sheet, you can leave them in the comment space below.